God grant that the light of unity may envelop the whole earth, and that the seal, "the Kingdom id God's may be stamped upon the brow of all its peoples. 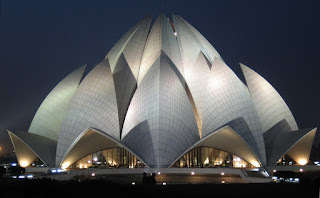 The Bahai House of Worship of the indian sub continent is the latest of seven edifices raised in differnet parts of the world, each with its distinctive design, each inviting peoples of all religions and races to worship the Creator of the Universe and to express the love between God and man. 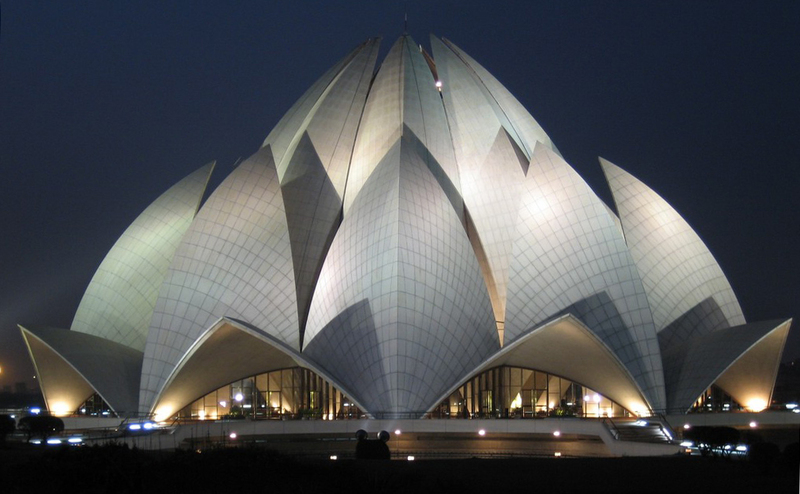 The design of the Bahai House Of worship in New Delhi is inspired by the lotus, the exquisitely beautiful flower and symbol of purity that is inseparably associated with worship and religion in India. The house of worship is surrounded by nine large pools of water that, not only enhance the beauty of the building but also play significant role the natural cooling system of the prayer hall, An adjunct of the main building is its ancillary building which houses, offices, conference hall, library and audio-visual room.